Hi there! 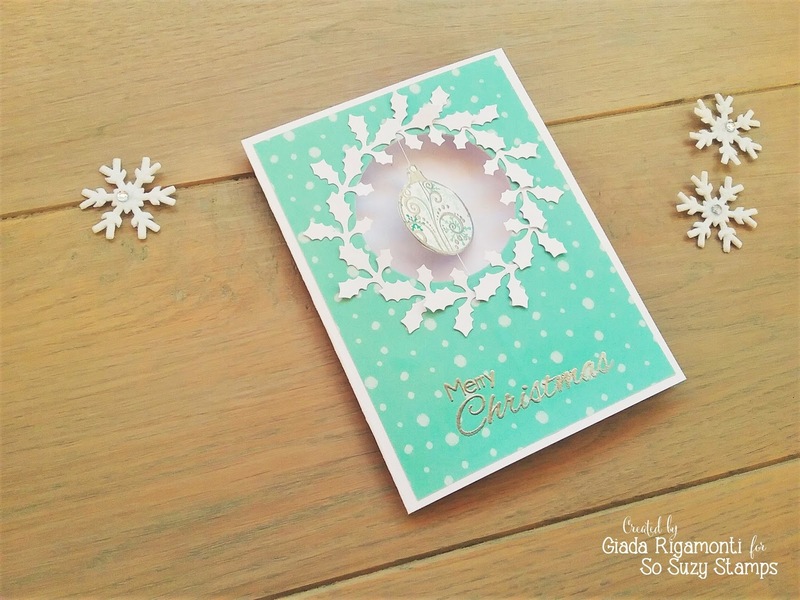 It's Giada here and today I have another Christmas card for you - it's not my fault, just check out the So Suzy Stamps November Release and try to understand! 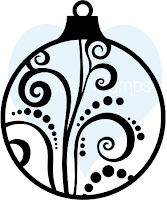 This is my very first spinner card: I was inspired by the Ornament Round Swirl Large, that I thought it would be perfect for spinning back and forth! I also chose a different color combination: aqua, silver and white colours. And you? 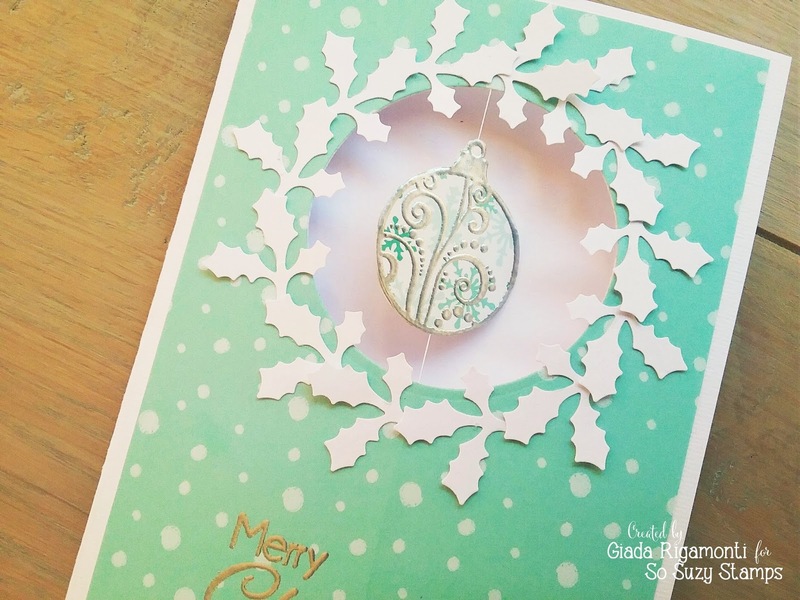 Have you started to create Christmas cards? Do you prefer traditional or interactive ones? 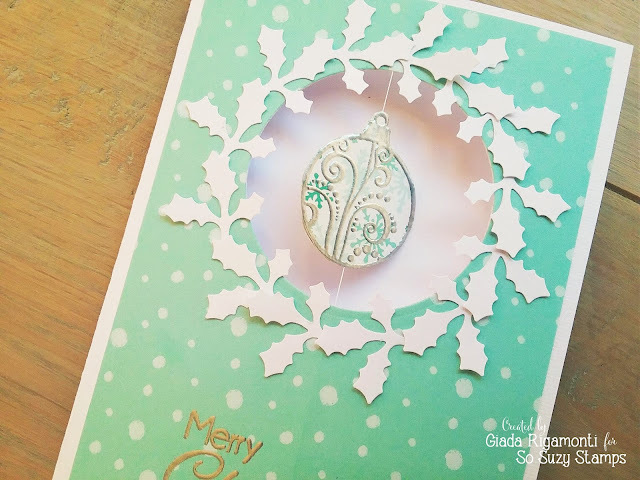 If you want to discover how easy is making a spinner card, you'll find me here.